Life expectancy has increased greatly with advancements in medicine and technology. As lifespan improves, the number of older adults in need of care has risen, leading to an increased need for family caregivers. 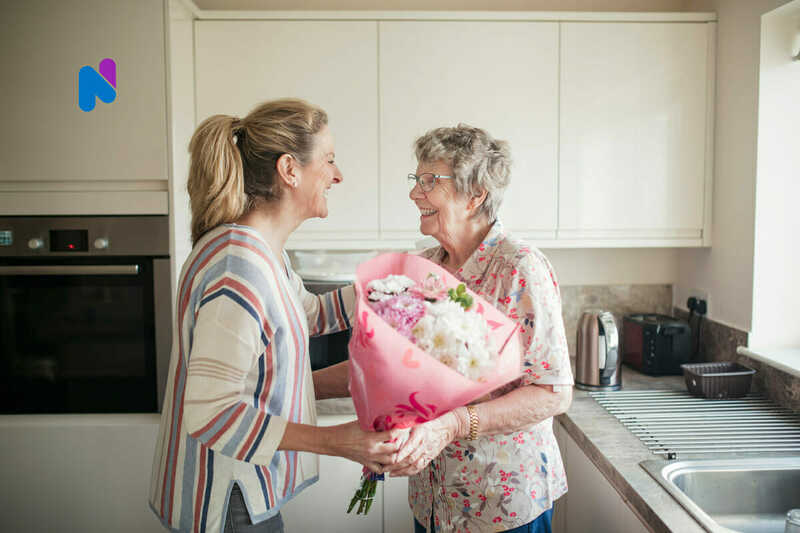 Family caregivers are individuals that give up much of their time to care for a person who is older, physically or mentally disabled, or ill.
Caring for a loved one can be very rewarding, but it can also be very challenging. Family caregivers can quickly become overwhelmed with the emotional, physical, and economic burdens of caring for a loved one. Researchers have found that the health of at-home caregivers are at risk due to the high amount of stress they experience on a daily basis. Caregivers who experience burnout may feel tired, anxious, and depressed. This is why it is important for caregivers to receive help and avoid burnout. Respite Care allows family caregivers the opportunity to take some time off from caring for their loved one for a period of time. This is a great way to gain some freedom and relieve stress. Sometimes caregivers can’t keep up with family or work responsibilities in addition to caring for a loved one. Respite care can help caregivers find a good work-life balance, and it gives them an opportunity to relax and recharge. Here are some benefits of respite care for the family caregiver. Relaxation. Caregivers need to take breaks to rest their mind and body. Without proper rest, an individual can become exhausted and depressed. Sleeping allows a person’s body to clear toxins that could negatively impact their health. One specific toxin is a hormone that is released in response to stress, called cortisol. Reducing the amount of cortisol can help someone clear their mind, enhance mood, and improve a person’s ability to perform responsibilities. Improve personal health. Respite care can provide tremendous emotional and physical relief for the family caregiver. This type of stress can lead to health problems if not given enough attention. Family caregivers may push their own personal health aside to care for their loved one. Respite care allows you the time to attend doctor’s appointments, exercise, or meal prep for the week. In the long run, failure to take care of one’s own health can lead to larger problems later down the road. Family caregivers must be healthy so they can give the best possible care for their loved ones. Prevents Bad Habits. Caregivers may feel overwhelmed and find themselves wanting to partake in bad habits like drinking and smoking. People engage in these bad habits when they feel stressed. Respite care services will allow you the opportunity to relax, preventing the urge to get involved in bad habits. Strengthens social involvement and sense of personal identity. Family caregivers often find themselves so busy taking care of a loved one that they don’t have time for social activities with friends and family members. This occurs especially when taking care of senior family members with chronic conditions like Alzheimer’s. It is highly important for family caregivers to find a balance between the many tasks of caring for a loved one and their personal life. Respite care can provide just that— by giving caregivers an opportunity to visit friends and family members. Socialization gives someone time to enjoy themselves and releases the emotional burden of caregiving. Support and assistance. Using respite services can strengthen an individual’s ability to be a caregiver. Caregivers are often overloaded with responsibilities. Often times, just one family member provides all the care for the individual in need of care. Respite care can provide much-needed help with some of the workload. Professionals who are specialized in respite care can offer advice and tips to the person taking care of a loved one. This education can be really useful when there isn’t 24 hour care in place, especially when taking care of seniors with long-term impairments and/or conditions. Gives Space. Some individuals may find themselves burned out after giving so much of themselves to care for a loved one. They may also get tired or upset with the person they care for after so much time together. Respite care will give caregivers the chance to take a much-needed break to relieve any tension that has grown and improve the health of the relationship. If you are looking for respite care services, NurseRegistry provides care for people of all ages. Our nurses can provide highly specialized respite care, including medication management, respiratory care, ostomy care, tube feedings, and more. Scheduling is flexible. We can provide short-term care for a weekend or just a couple of hours, or ongoing care on a regular schedule. To learn more, visit our page on Respite Care or call (650) 462-1001 to speak with one of our Care Coordinators. The National Alliance for Caregiving offers a variety of ways to support family caregivers. National Family Caregiver Support Program provides grants to states and territories to support family caregivers. Eldercare Locator is provided by the U.S government and offers many services and programs for caregivers.